Social Security alone provides a good foundation of retirement income, but it was never meant to provide all or even most of someone's retirement income. The average monthly benefit for new retired workers in 2011 was $1,241; for married couples, add $463 per month for the average spouse's benefit. The maximum monthly benefit for someone retiring at full retirement age (age 66) in 2012 was $2,513. According to the Center for Retirement Research at Boston College, only 42 percent of workers between ages 25 and 64 participate in any type of employer-sponsored retirement plan. As a result, about one-third of households enter retirement without having drawn such benefits. The median 401(k) and IRA balances for households headed by someone age 55 to 64 is $120,000. For retirement at age 65, this level of savings would generate a lifetime retirement income that ranges from only $400 to $600 per month. According to a report from Fidelity Investments, a 65-year-old couple retiring at age 65 would need about $240,000 in the bank to pay for medical expenses throughout their retirement. Due to political disputes in Washington over how to handle the federal deficit, important safety net programs such as Social Security and Medicare are threatened with cutbacks. Although many people expect to continue working in their retirement years, half of existing retirees say they left the workforce unexpectedly due to health issues, disabilities or changes at their employer such as downsizing or closure. These people needed to tap into retirement savings and other financial resources sooner than they expected, and they were less able to rely on wages for income. According to the federal Centers for Disease Control, about two-thirds of all Americans are considered overweight or obese, resulting in increased rates of chronic disease and medical bills, especially as they age. More seniors are entering their retirement years with debt problems. According to the AARP, for example, 25 percent of all bankruptcy filings in 2011 were by people 55 years of age and over. 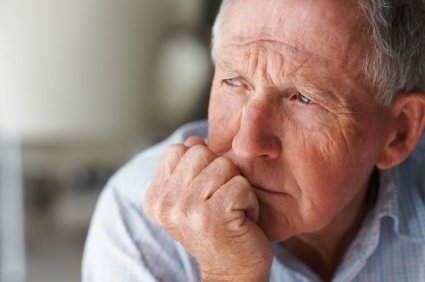 The number of seniors filing bankruptcy also increased by 134 percent from the previous year. Only 14 percent of people surveyed by the Employee Benefit Research Institute report feeling confident that they'll have enough money for a comfortable retirement. Is this how we hoped our retirement years would turn out? Of course not. Does it stink? Yes, and I'm sorry things are turning out this way. If you're so inclined, you can find lots of sources to blame for this unfortunate situation. Your political party, the economy, Wall Street, the government, advertising. You can even blame yourself for not saving enough or spending too much. But what good does blame do? Maybe the blame is appropriate, maybe it isn't. If it makes you feel better to blame somebody, go ahead and get it out of your system. Then realize it doesn't change the situation. All you're left with is a heap of blame and no solutions. Should our government and business leaders be concerned about this situation? Absolutely! And there are sincere leaders out there who are trying to make a difference. But I'm not holding my breath waiting for help anytime soon. Instead, we should focus on the steps we can take to improve our situation today, tomorrow and in the immediate years to come. In spite of the problems I've summarized above, I'm optimistic that Americans will be resourceful, resilient and creative and will rise to the occasion. We need a more realistic vision for our retirement years, a vision that gives us more control over our future and makes the best use of all the resources at our disposal. Stay tuned for my next post, which will provide an overview of that vision.